MONTPELLIER, France — Menta SAS, a provider of embedded FPGA (eFPGA) Intellectual Property (IP), today announced that the partners for the EDA-SoC program of the European Defense Agency have successfully evaluated Menta’s embedded FPGA fabric. The EDA-SoC program is supported by France, Italy, Germany and Norway through the European Defense Agency. The program gathered 14 partners from major defense equipment manufacturers, technology providers, and design centers to define an optimal SoC development platform, including the complete flow from design to manufacture and test. The SoC platform embeds a 32-bit RISC processor, the Menta embedded FPGA fabric and other standard IP blocks. As a result of the EDA-SoC program, suppliers now have access to a fully tested and programmable SoC platform that is ideal for use in a wide range of telecom, cybersecurity and defense applications. Menta was selected for the EDA-SoC project based on the flexibility of its embedded FPGA IP, as well as the robust capabilities of the company’s ORIGAMI software design environment. 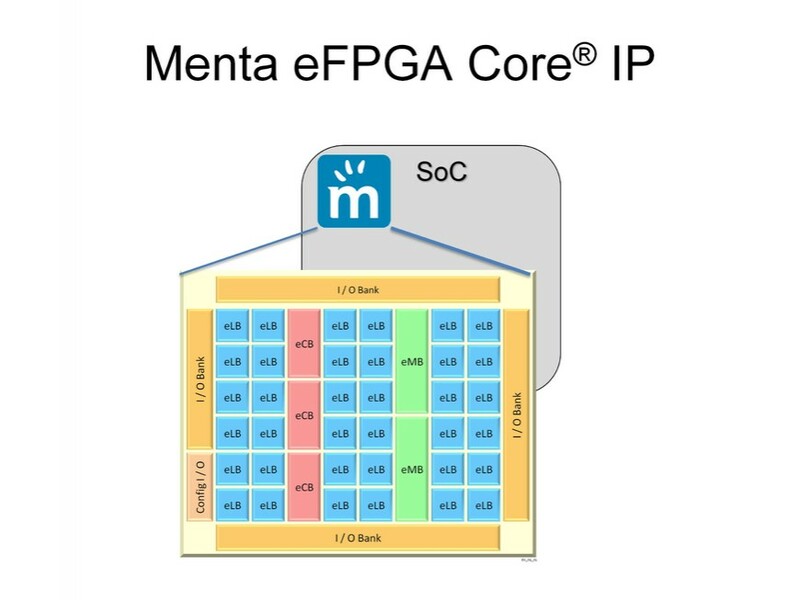 For the EDA-SoC project, Menta supplied a fully functional embedded FPGA fabric with embedded logic blocks (eLBs), global clocks, memory, ALUs, and an SPI interface. The floorplan techniques were optimized, and custom cells were designed for the 65nm process to improve area density. Menta provides both custom and pre-defined embedded FPGAs for integration in a wide range of SoCs. The embedded FPGAs are supplied with a proven EDA tool that supports design from HDL design to bitstream with synthesis, mapping, place and route. Menta’s embedded FPGAs and associated software are available now. 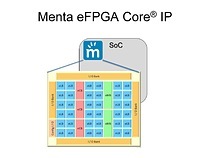 For more information, please visit www.menta-efpga.com/technology, or contact our customer support team at contact@menta-efpga.com. More information about the EDA-SoC program can be found at www.edasoc.eu. Origami Designer, Origami Programmer and eFPGA Core IP are registered trademarks of Menta SAS. All other trademarks and tradenames are the property of their respective holders.